Landbot Help - What is a brick? All Categories ​>​ Landbot v3 (Bricks) ​>​ Creating a Landbot (v3) ​>​ Bricks ​>​ What is a brick? Welcome to the new way of building bots! You can add a number of blocks (or more bricks/folders) to organise your bot flow. Plugins, that you add to your bot for new functionalities without the need of building it from scratch. Don't repeat again the same blocks, just save them inside a brick, and add it wherever you need it! 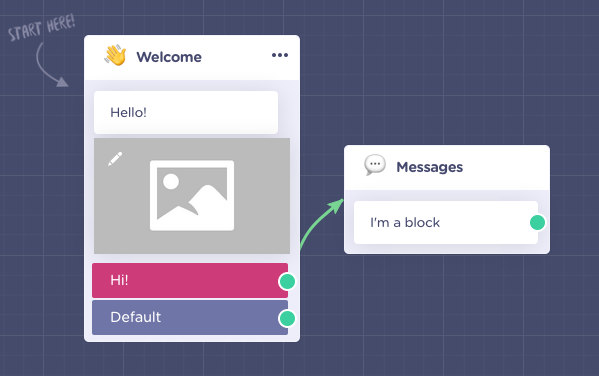 In the future Bricks will be like "Open Source code", you will be able to "download", customise, reuse and republish the bricks to help other Landbot users with their bots and ideas. But for now you can do it within your own bots. How to re-use a brick?